"No other substitute can step in for him. Name one option who can even come closer." Even as the Supreme Court has cleared that they will appoint the Ombudsman next week to investigate the Hardik Pandya -KL Rahul controversy, their respective IPL franchises are not losing sleep over the matter. The Kings XI Punjab and Mumbai Indians franchises seem to be crystal clear about their availability for the tournament. It is being understood that they have sent a clear message to the BCCI saying that they cannot afford to lose the players. According to the reports in InsideSport, a senior executive from one of the franchises has cleared that they don’t support the players’ views by any means but can’t afford to lose them during or at the start of the IPL. As of now, there is no idea about the quantum of punishment for the players as the CoA and BCCI are unsure about how to deal with the matter and it could well lead to the duo missing out the matches in the near future. “We don’t deny what they said is not acceptable. Our management is clear that he (the player) will be sanitised before donning our jersey for the season. You will see a sea change in his behaviour. The issue has been discussed at length by our management. While the team owners are furious about the whole episode, management is of the view that we cannot make an emotional decision,” a senior executive said. 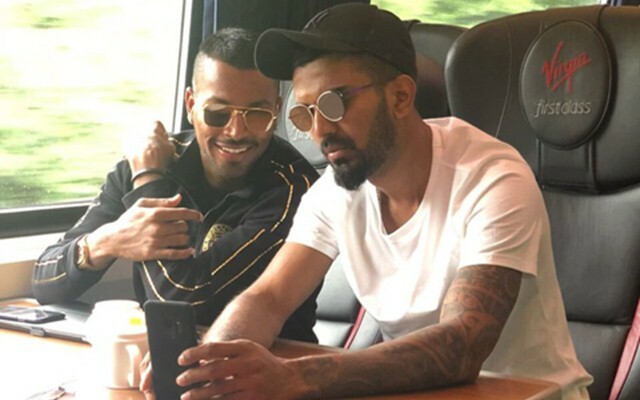 The franchises seemed to be not caring about KL Rahul and Hardik Pandya‘s career financially as they believed that the players can be demoted in their contract category but their availability in the upcoming IPL season shouldn’t be affected. “They (the board or the CoA) can penalise them (Pandya and Rahul) financially by demoting them in their contract category. But why penalise us. There is nothing like sympathising. This is a pure professional call. Why do we indulge in morale policing? We are clear on how to handle him once he joins us for the league,” the franchisee further added. The matter continues to drag on now as it remains to be seen what will be BCCI’s response. With the IPL set to commence on March 23, any kind of ban on the cricketers for their misogynist comments could lead to them missing out on some part of IPL as well and then the franchises might get irked. Get the latest Cricket News and updates from Match Predictions, Fantasy Cricket Tips and lots more on CricTracker.com.